Ok. Maybe not forever, but decades! I'm just starting to toss my first cleaning clothes. I first bought these 20+ years ago. I always wash them in hot water with bleach. I have them stashed all over the house. 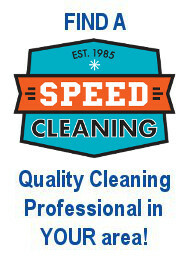 They've cleaned up the messes made by babies and small children (I'll leave that to your imagination) as well as pets. 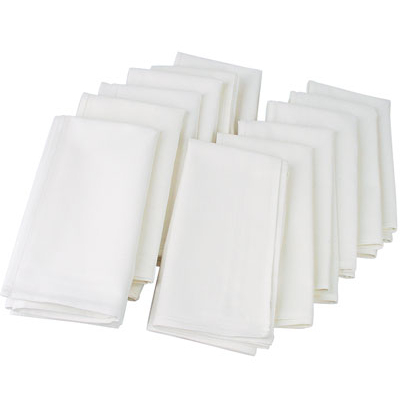 I have saved thousands by using these instead of paper towels! It was hard for me to find proper cleaning cloths for around the house. I tried microfiber and waffle weave and they just didn't cut it. I found these and figured I would give them a try. At first glance and feel I wouldn't have thought they would be absorbent but I was wrong. 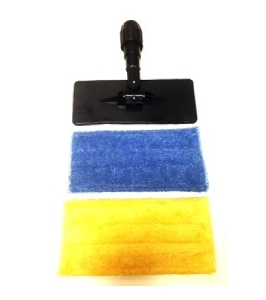 They are abrasive enough to scrub away stubborn dirt and absorbent for wiping up spills or cleansers. I would advise to wash them first before using as there is a mill film on them that hinders the absorption. It even tells you this in the directions. Would definitely buy these again. These cloths are just what I was looking for - tough and durable. I bought them several years ago and use them often. They are still in good condition and have not noticeably deteriorated. Used these for over 20 years!!!!!! I had a Construction cleaning business for over 20 years and I had always used these cloths for washing windows and cleaning mirrors..In fact what brought me to this site was to replace them..FINALLY...I always wash them seperately(With a small amount of bleach) from any other rags and that has kept them lint free thru out the years~I only clean residentials now..but these are still the ONLY mirror/window cloths I use.Just remember to ALWAYS wash them alone and they wont pick up any other cleaning products residue.LOVE LOVE LOVE them~!!!! you wont be dissapointed~!!! Love my 100% cotton cleaning cloths! High quality. I can't tell you how much money I have saved and also how many trees I saved by purchasing just one package of these cleaning cloths about 15 years ago. I do not buy paper towels because I have these cloths. We use them for EVERYTHING that we used to use paper towels for. I still use the cleaning cloths daily. Then I throw them in the washing machine. A few are starting to fray a bit from washing them so many times. Overall, they are in great shape. I highly recommend that everyone use these in place of paper towels. Next product request >>> Can you provide a product to use so that I can stop buying toilet paper? I don't ever post reviews on products. I ordered 5 bundles of the white clothes. Fast Shipping and These Are The Best Cloths Ever! I will be ordering more . Amazing! And well worth the money! I told my husband I want these for my Birthday and Anniversary gift every year! I have to have more and more just because I am in love with them. Haha! I LOVE these cloths. I clean 14 homes and theses cloths are the only thing that I use on mirrors and windows. They are lint free and streak free. They also work well for shining up facets and shining up appliances, etc. I am just buying another set. They wash up very nicely. I just do not use fabric softener or a dryer sheet to avoid getting a build up on them. I've been using these cleaning cloths for over ten years now. 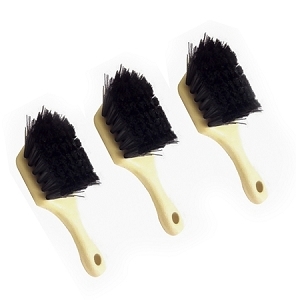 They're just the right size and texture for speed cleaning, or any cleaning. 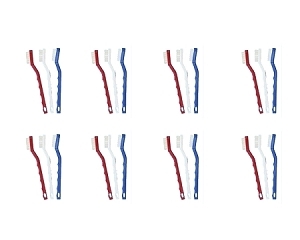 I bought a bunch of these several years ago and use them all of the time. They work great and clean up nicely in the washer. Love them! I can't live without these excellent cleaning cloths, so great for windows. These cleaning cloths last for years. They clean well, wash up well, absorb well... 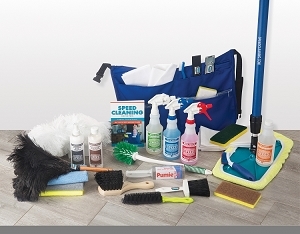 I use them for most of my kitchen and bathroom cleaning, as well as many other tasks like floor spills, car interior, and more. One set lasts many years -- and we're on our third set! Great product! These are the best cleaning cloths. I think we have had ours for almost 20 years and they are still in great shape. 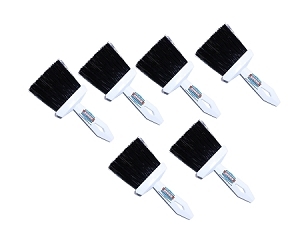 They are durable and great for cleaning all surfaces. Just throw them in the washer and they are ready to go again. These are the best cleaning cloths you will ever find! They will change your world I promise! Bleachable, durable, great on all surfaces! I bought these a few years ago and still have every one of them, even though they are washed in bleach every week. 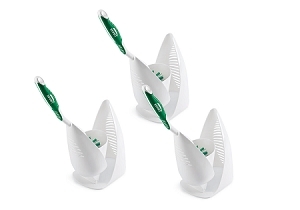 They are great for cleaning areas that easily smudge or smear, and are still totally lint-free! A few of them have gotten a tiny hole or two from getting snagged on certain things, but the holes have not frayed or grown larger. I highly recommend these cloths. I bought some 20 years ago and am finally back for more. They lasted forever.